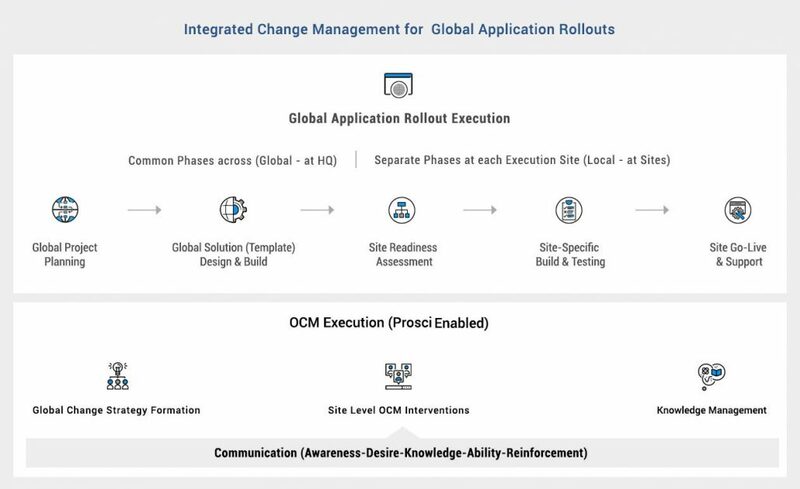 One of the major challenges of global (or multi-country) application rollout projects is acceptance & adoption of change at a regional level or at local sites. While the Change Vision and Strategy is decided centrally at the HQ level by the corporate leadership, the same has to be consistently and coherently communicated to the regional level leadership, to ensure alignment between the HQ & the rollout sites. Consistent and periodic communication across project execution among different levels of stakeholders, is one of the most crucial aspects of OCM in such programs.